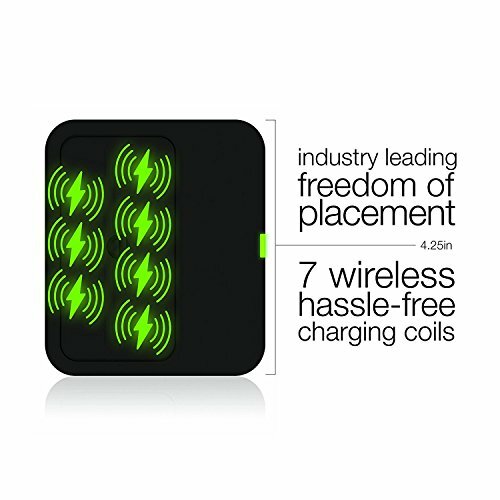 CHARGING FREEDOM: ZENS Wireless 7 Coil Charger Pad enables convenient, cordless charging for your Qi supported mobile devices. Simply drop your Qi enabled phone, tablet or smart watch on the charging pad and your device will wirelessly charge. 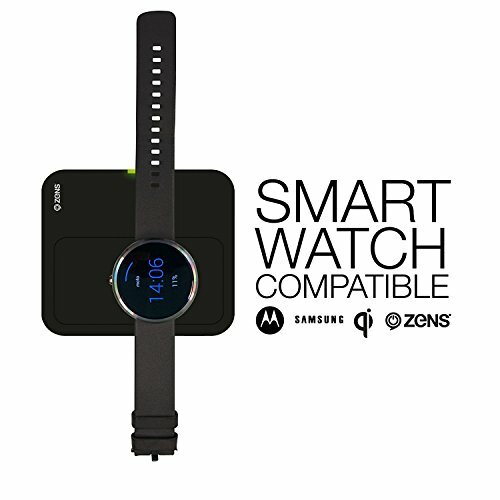 Works with Qi enabled device such as the new iPhone 8, iPhone 8 Plus and iPhone X (iPhone 10), Samsung Galaxy S7/S8, and more. 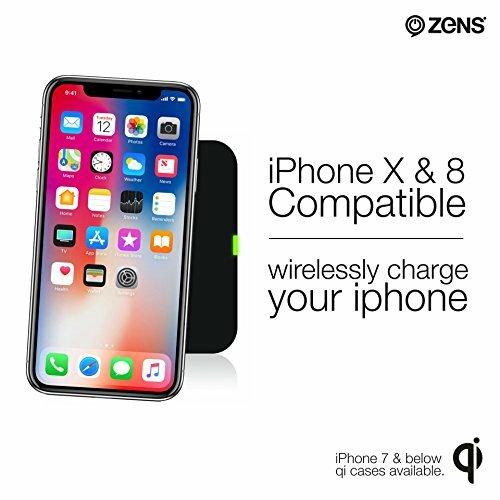 Older Apple iPhones require a ZENS Qi case that enables wireless iPhone charging (sold separately). FAST, RELIABLE CHARGING: ZENS wireless charging pad features 7 induction coils which is the most coils of any Qi charger currently on the market. This makes wireless charging not only effortless, but more reliable every time you set your phone on the charging pad. No need to perfectly align your device on a certain spot on the charger. SMALL, SLEEK & SMART: ZENS Qi enabled wireless charger has a slim design, taking up the smallest amount of space possible while also providing effective charging. They are designed to fit into any environment; whether you are charging from your office desk or nightstand at home. The smart wireless charging station stops charging when your device reaches full charge, then resumes as battery life drops. An indicator light shows when the device is charging. 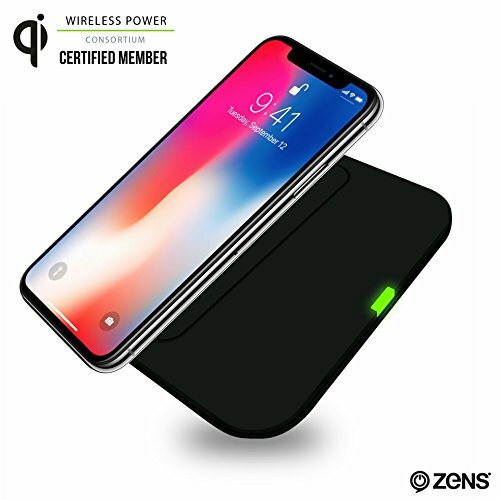 WHAT TO EXPECT: Zens 7-Coil Wireless Charger features a 5W power output. How quickly your device charges depends on the model. Samsung phones, for example, can receive up to 9W of power, while the iPhone is currently only able to receive up to 5W of power. An iPhone 8 featuring a 1,821 mAh battery will take about 2.5 hours to fully charge with this 5W wireless charger. The iPhone 8 Plus and X feature a larger battery and hence a full charge will take about 1h longer. WHY ZENS? 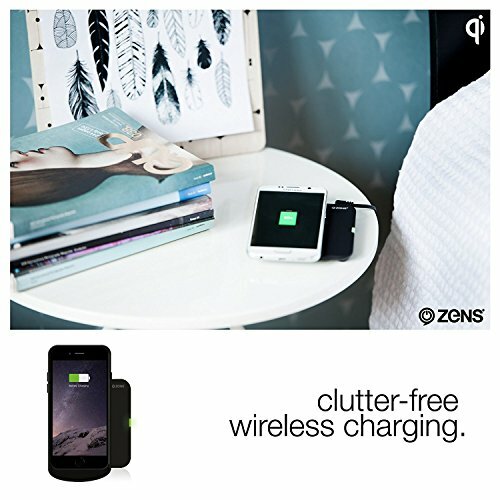 : ZENS knows wireless charging. All of their products are Qi-compatible and built to take wireless charging to the next level. All ZENS products are Qi certified. 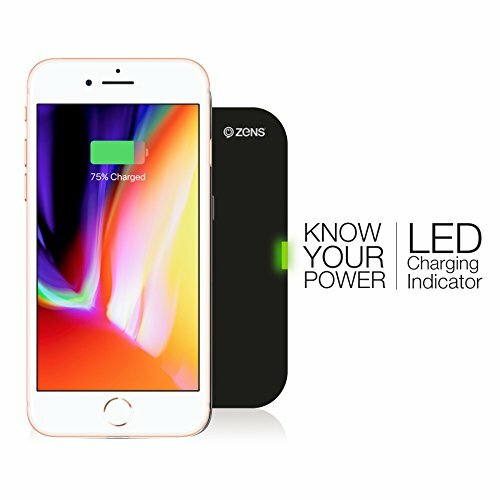 All ZENS products for Apple iPhone and/or Apple Watch are Qi certified and Apple MFi certified. 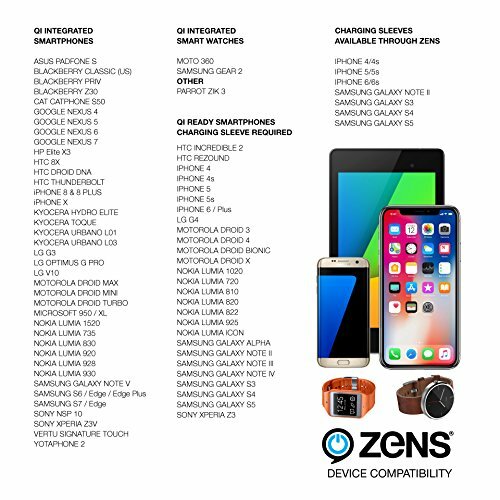 All ZENS products have a 1 year limited warranty.